Spotlight is best for the finding something on your Mac OS X Yosemite fast and easily. Spotlight search start detecting files when you start the typing in the spotlight search field at a starting character. You have Use Spotlight in OS X Yosemite for the finding web page related internet history, correct word definition and web search. Using Spotlight in OS X Yosemite you have also locket files that contain your data like as calculation, calendar, system preference and Text document. You can find your favorite movies and songs in the iTunes library through spotlight. 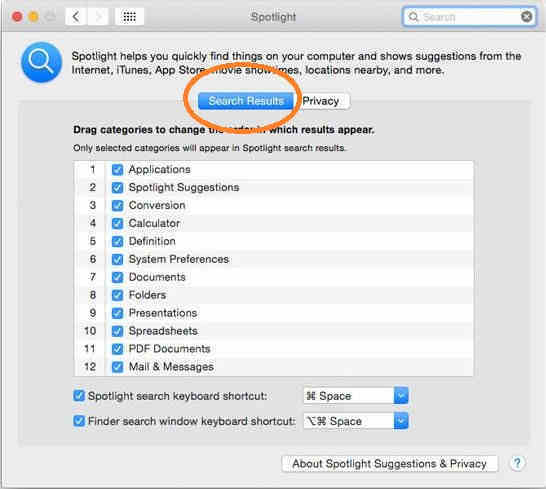 Follow the bellow step for use Spotlight in OS X Yosemite. So Spotlight gives strong result after querying anything you find. 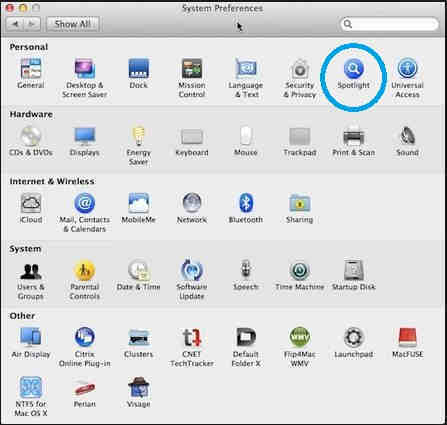 Lets start how to use and customize spotlight in Mac OS X Yosemite. 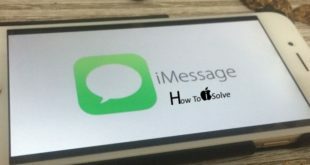 Useful: How to setup and use iCloud drive on iPhone, iPad and Mac. 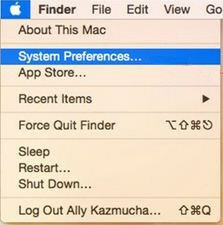 Step 1: Go to the Apple menu bar, after click on the System Preference. Step 2: Now, go to the Spotlight option. Step 3: After open the Spotlight option, click on the Search Result button, now you can see the list of very useful search categories like, Applications, Documents, Folders, Spotlight suggestion, calculator, and system preference etc. If you want to customize or rearrange predefined search titles name, tap on it and move by dragging it to change the place and sequence up and down. For removing the option in the Search result you have uncheck the option which you are not use. Step 4: Now, click on the + icon and add folder which you have delete. That’s it. Use Spotlight in OS X Yosemite is best practice as a time saving find option, simply moving and quickly searching of your documents, folders, applications, number calculation etc. Please try step given here and comment your experience bellow with us.